In August 2016, Air India launched a new route between London Heathrow and Newark. I guess it was actually technically a service resumption, because years ago Air India flew from Delhi to London to New York JFK. With this new service, the airline launched a new one-stop route between Ahmedabad and Newark, though they had pick-up and drop-off rights in London. The route is operated 3x weekly using a Boeing 787, so it’s a rather fun way to fly between Newark and London, given that the airline often has reasonable fares. 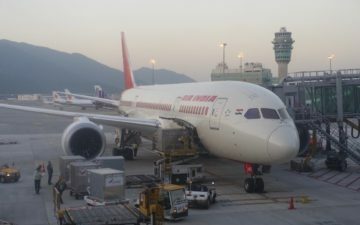 It’s also Air India’s only route to the US featuring the 787, which features the best business class product they have. Unfortunately it looks like this route will be coming to an end. While Air India will maintain their Ahmedabad to London flight, they’ll be discontinuing their London to Newark flight as of November 16, 2018. With this change, Air India will fly to London Heathrow from four destinations in India (Ahmedabad, Bangalore, Delhi, and Mumbai). This adjustment seems pretty logical to me. Air India can be competitive in markets where they’re the only airline flying nonstop, since people value the convenience. But the Ahmedabad to Newark flight had a stop, and if you’re going to stop anyway, there are a number of other airlines you could fly between the two cities with a better product. So while I’m a fan of fifth freedom flights, a new London to Bangalore flight makes a lot more sense to me, even if they are competing head-to-head with British Airways’ daily 777 flight in the market. 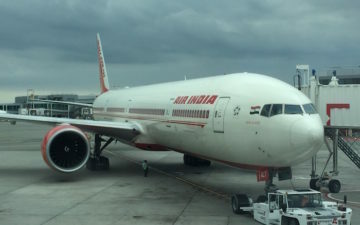 What do you make of Air India discontinuing their London to Newark flight? The New Amex Gold Card: How Are The Bonus Categories Defined? DEL to IAD is a 777, not a 787. Actually there are not very many 1-stops AMD-EWR. The two I can think of (on the same carrier) are EK AMD-DXB-EWR and SQ AMD-SIN-EWR. Both have 16+hr layovers. Who cares? You couldn’t pay me to fly that disgusting airline! The AMD flight from London is great! Mainly because United and AC have multiple flights a day to LHR from all of their hubs… but I can never find a connecting flight that is UA from Chicago to London that connects to Air India to AMD. That would be a win win! SP, the flight had 71-85% load factor. You only accounted for 5th freedom pax and not AMD-EWR pax. As for the aviation post. Ill be disappointed . AI 787 biz class is far better! AI has made it relatively easy to do paid upgrade at the airports ($1000) or less at times! So will miss this route. Hopefully United Starts offering connections via LHR. I was on the AI Flight from Newark to London last month on October 11th and it was great. The convenience of that Flight was conducive to my schedule and the cost was worth it too. I loved the crew esp. Ravish. Very Pleasant. AI: Please make a direct flight from JFK TO MUMBAI IN THIS CENTURY. THANKS.